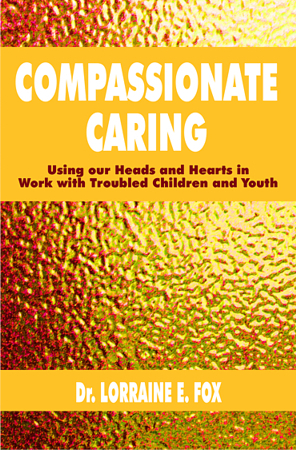 This book is a must-read for professionals working with children and youth. An internationally-respected expert on children and their well-being, Dr. Fox tackles key issues for child and youth care workers, focusing on the need to always care with compassion. Lorraine Fox has been a lifelong champion for young people and families. Her writings have helped shape the work of Child and Youth Care practitioners around the world – from her classic The Catastrophe of Compliance to the more hidden gems in this book. Anyone who opens this book will find a wealth of practical guidance from one of the best in the field. Readers of this collection are in for a professional treat. They will be privy to some of the most sophisticated and insightful writings about child and youth work there are. This collection provides the wisdom borne of years of experience with the core knowledge base of the field, providing the reader stimulating and valuable insights. Early in my career Lorraine set me on a journey that had me rethink almost everything I thought I knew about Child and Youth Care. From learning to work with sexually abused youth, to understanding that to “Discipline is to Teach”, to getting my head around the “Catastrophe of Compliance”, I was the disciple at her feet. For discounted volume purchases, please email us here.